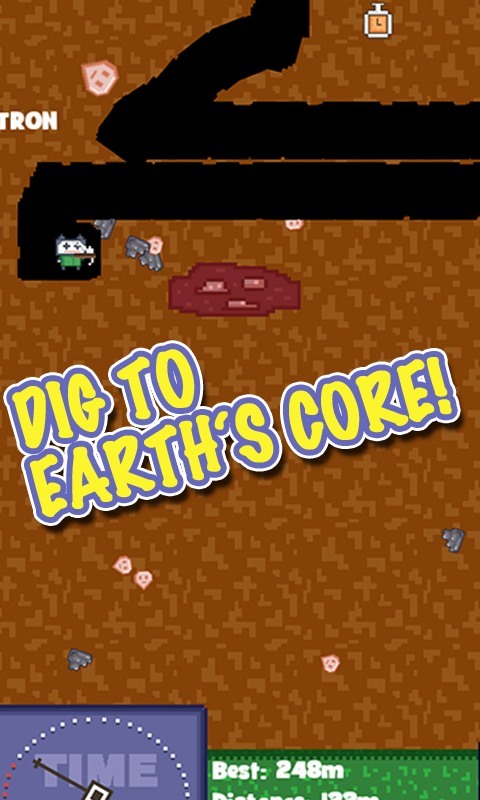 Dig to Earth's Core! Collect resources, buy upgrades, get as deep as you can before the time runs out then repeat. 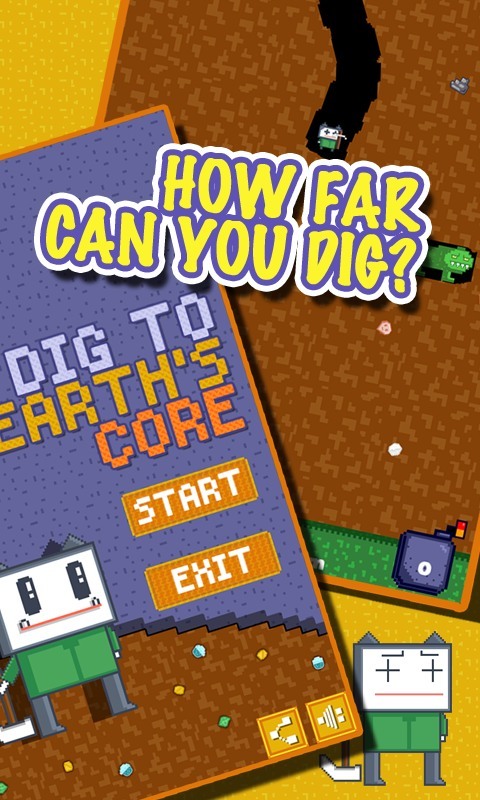 Dig to Earth Core brings unique graphics and an in-depth upgrade system. The gameplay is simple, yet challenging. Just tap the screen to dig downwards, stopping on your way to pick up the various valuable minerals you come across. Available in the shop are six different upgrades which cover every aspect of your digger. For instance, upgrading your drill allows you to drill faster, and upgrading timer allows you have more time to dig. Digging deep is key to maximizing profits, but also comes with the increased risk of not making it out alive. Let's see how far can you dig! 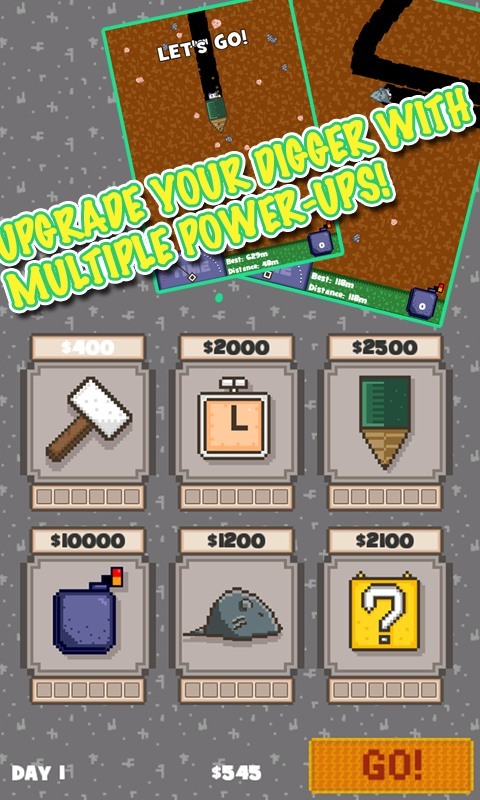 Game features: Upgrade your digger with multiple power-ups! Realistic physics and intuitive game control! Endless mode! Free without any In-App Purchases!